Spending by retailers on artificial intelligence (AI) is expected to reach $7.3 billion by 2022. The convergence of AI with e-commerce, mobile IoT are contributing to better customer experience as well as greater opportunity for profitability. AI is helping in-store experiences by removing friction points such as check-out and payment and allowing. In addition, AI is allowing for greater data capture, profitability, and sales growth, with a projected 60% boost in retail profitability by 2035. Advances in areas like machine learning, natural language processing, and predictive analytics are creating greater amplification, reach, and targeting for retailers. At Tatau, we are ensuring that AI compute is cost-effective, fast and accessible. We’re unleashing innovation in the retail AI space, contributing to improvements in the speed and ease of transactions, accelerating the adoption of voice technologies, and increasing personalization — all improving the effectiveness and profitability of retailers. So how will AI transform retail? Here are the top trends to watch for. AI helps better define and predict customer journeys, build loyalty and increase brand engagement. 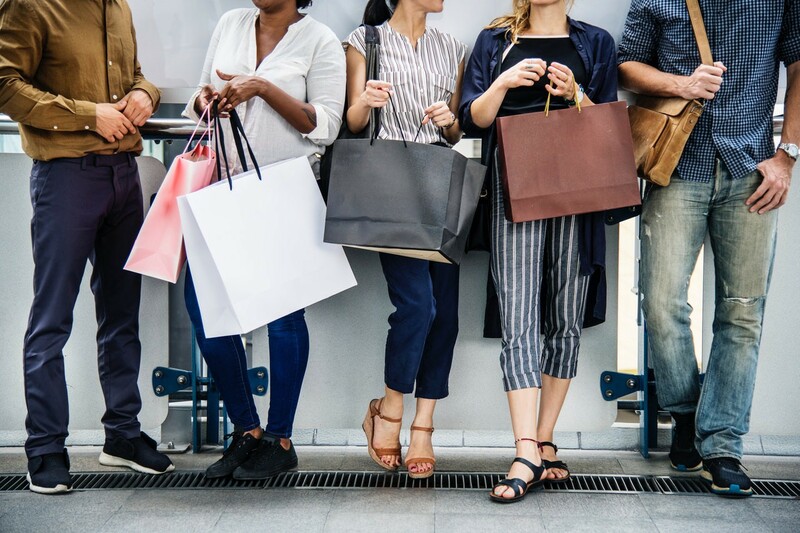 Retailers now have vast amounts of customer data and can curate the shopping experience based on preference, demographic and firmographic data. 65% of consumers said personalization and promotions are the most important factor in their shopping experiences. Not only is it important, but it also must be timely; 54% of consumers expect to receive a personalized offer within a day of interacting with a brand. Starbucks, Disney, Macy’s and BP are using personalized shopping experiences to enhance loyalty and increase spending. Personalization is powered by advances in machine learning, enabled by large data sets, which helps retailers better understand customers, respond to their needs, and predict future behaviors. Machine learning can create a personalized online shopping experience, whether in-store or on mobile, that matches or surpasses customer’s wants and needs. In the US, retailer Macys, powered by IBM’s Watson, created an app that offers in-store checkout using a mobile device, eliminating high-friction points for customers. To increase adoption and “stickiness”, they have also created a dedicated section for personalized merchandise suggestions based on past purchases. In New Zealand, BP launched its loyalty and rewards app which allows customers to place a coffee order, or purchase fuel, and pay for it before reaching the physical service station, skipping the line. The app eliminates high-friction points and has allowed BP to give personal recommendations and marketing to their database of customers. Highly targeted marketing with personalization increase sales by 10%, while brands that use personalization also see conversion 2–3 times faster than those who don’t. AI also enhances predictive analytics to target promotions, products and new releases for a retailer’s target audience. Amazon has launched the Echo Look, which is similar to Alexa, but with a camera. You can use voice commands to take full-length 360-degree photos of yourself and create a daily lookbook of outfits. Simply ask “Alexa, how do I look?” for real-time feedback on your outfit and receive smart, specific styling advice. Furthermore, you can save, edit your images and share directly from the device. Amazon has created AI-driven algorithms that will curate your closet, organize your looks by season, weather, and occasion. Today’s consumers’ shop across multiple channels and multiple devices. From online search to brick and mortar stores, customers have multiple interactions prior to making a purchase. Companies that have an omnichannel customer engagement strategies retain on average 89% of their customers, compared to a 33% customer retention rate for companies with weak omnichannel strategies. A consistent and aligned digital experience is critical to both retention and reengagement. There has been an explosion of IoT connected devices entering our homes, cars, and offices. IoT solutions have the potential to enhance the customer experience by over 75%, by gaining a better understanding of minor and major details of customer preferences. IoT can order groceries via your Samsung smart fridge or renew your car sharing subscription using voice technology. Moreover, the more you use these devices, the greater their understanding of your behavior and preferences. Already, your smart speaker can efficiently recommend services and products that will match your style and preference. All this requires significant AI model training, which Tatau can provide at a 50% cost reduction to centralized compute providers. Consumers being able to find products easily, from any device, is becoming more and more critical. However, search is changing, as 80% of shoppers rely heavily upon search, and now voice search, through IoT devices. The increase in sophistication and maturity of machine-learning enabled Natural Learning Process has created tremendous growth in adoption. Another key element is the visual search enabled by computer vision, which powers visual search, allowing consumers to search with the help of pictures they find or click. The algorithm gathers consumer’s behavioral data through online shopping and in stores with the help of sensors and cameras. In New Zealand, IMAGR is a brilliant example of a computer-vision led retailer application, creating a world-leading offering, and using a significant amount of compute. Inventory management systems and smart supply shelves use machine learning as well as computer vision to help streamline manual processes. The technology allows retailers to better anticipate, predict and manage products, improving customer experience. The advances are leading to better and leaner supply chain management, reducing costs and increasing speed to market. Digitize Today to Future Proof Tomorrow suggests that 56% of retailers and brands order track and traceability using AI and machine learning. One can track order across the globe and predict its location in near real-time. In addition, retailers can anticipate stock shortages and rectify these faster, ensuring they are better able to meet customer expectations. Natural Language Processing enables computers to understand human language which has led to the mass adoption of chatbots and virtual humans. At a base level, this can increase response times and answer straight forward questions including location, opening hours, and frequently asked questions. New Zealand company FaceMe’s Retail Assistant offers a digital human that can respond to increasingly sophisticated customer needs in real-time. FaceMe is pushing the boundaries of machine cognition, and developing digital humans with hyper-realistic behavioral responses to external stimuli — providing the closest possible digital solution to in-person customer service. FaceMe and Tatau are working together to increase the speed and scope of the GPU-based processing in FaceMe’s advanced AI software. AI is revolutionizing retail, from smart recommendations to a frictionless retail experience. Today’s consumers’ shop across multiple channels and multiple devices and the proliferation of e-commerce and mobile IoT data is helping to create frictionless and more personalized customer experiences, as well as increasing retailer profitability and sales growth. As technology evolves we are witnessing more groundbreaking changes, as the application of IoT and 5G (such as Spark’s imminent 5G rollout) allow better connectivity throughout the customer journey. We are only at the beginning, but there is no question that AI is here to stay, providing more exceptional customer experience while streamlining business processes. Tatau can be your partner to unleash innovation through AI in the retail space, reach out to us to find out how. Note: this is part three of our ‘Future of’ series in different verticals. You can read about The Future of Insurance here, and How AI is Changing Financial Services here.